Woven straw bags have been circulating for a couple of years now but nonetheless, it doesn't take away from our excitement when we see new styles pop up just in time for the hot, silly season. 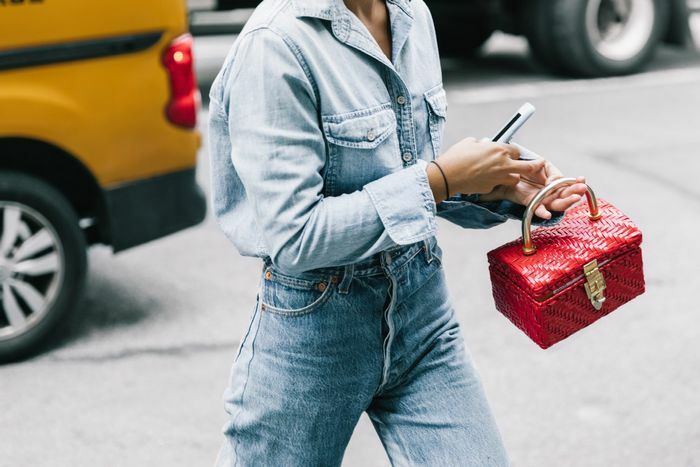 We’ve noticed luxury designers are reinventing their classic handbag styles to accommodate for some seriously fun woven styles. Designers like Loewe and Dolce and Gabbana have created some seriously lustworthy straw bags. While the idea of a designer bag at this time of the year may blow the Christmas budget, the good news is that some of the woven styles come at a more affordable price compared to the brands' cult seasonless bags. Think of it as an entry point into some of your favourite designer bag brands. These bags call for fresh whites, tropical prints, and comfortable flats. Keep scrolling to shop our favourite designer straw bags. This adorable circle bag needs a statement ruffle skirt. A classic style you can take with you anywhere. The most affordable (and summery) way to get into the Prada game. The nautical vibes are almost too much. Low-key obsessed. This luxe little woven bag is exactly how we imagine the Queen does summer holidays. Okay, so not affordable in any way, shape, or form, but can you take a second to appreciate the beauty? Denim and straw is oh so French. Love summer trends? Follow us on Pinterest.